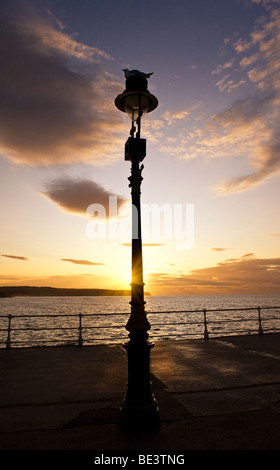 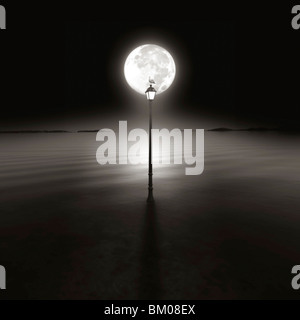 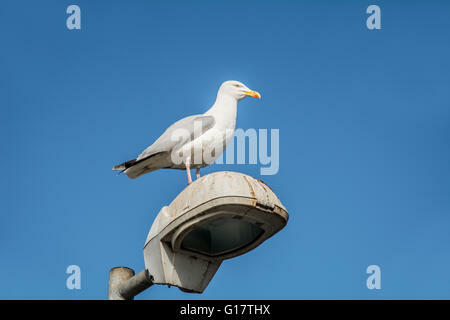 A seagull sitting on top of a lamppost. 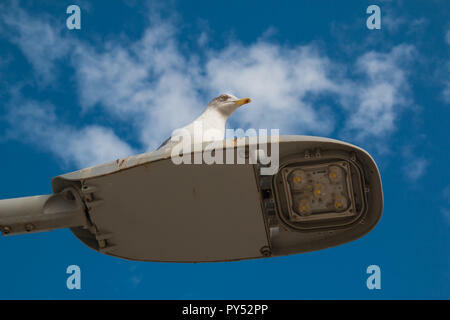 Streetlamp and a portait of a seagull sitting on it. 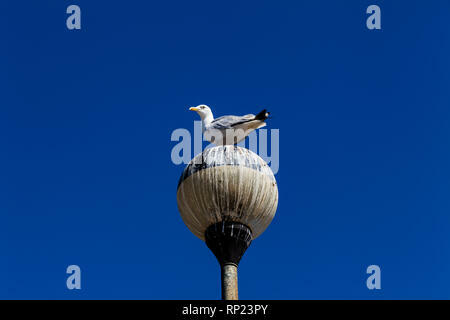 Bright blue sky with white clouds. 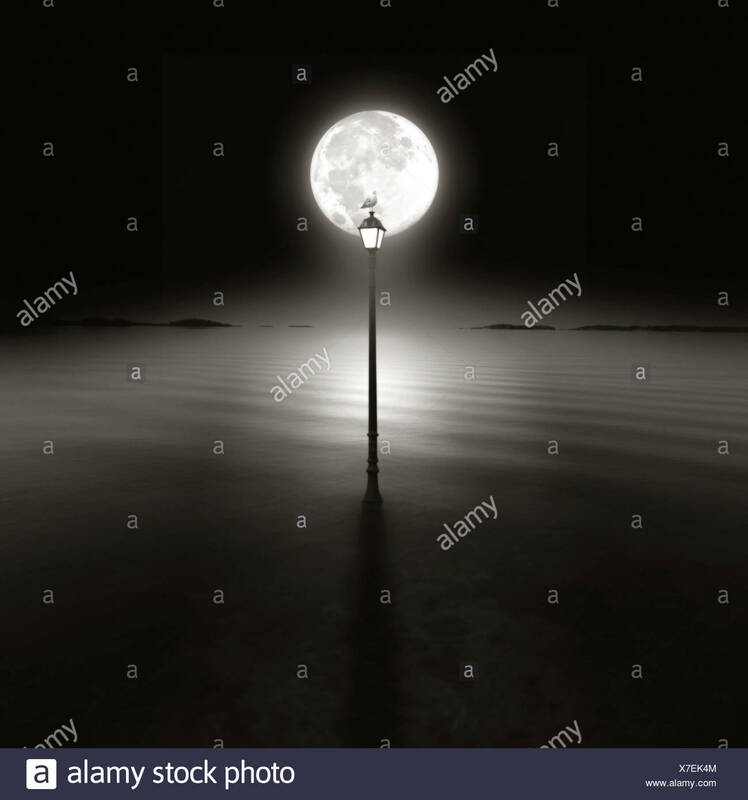 Algarve, Portugal. 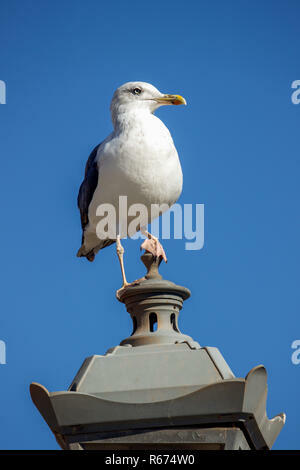 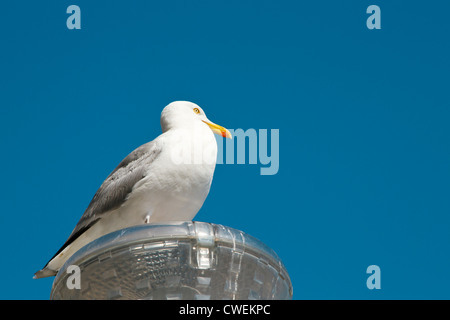 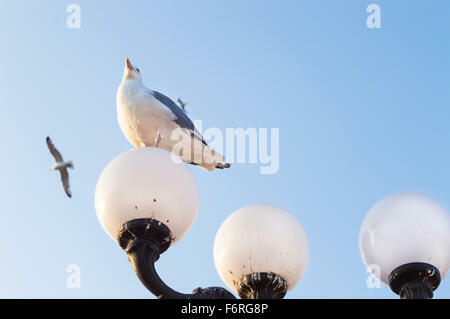 A seagull sitting on top of a street lamp looking up into the clear blue sky. 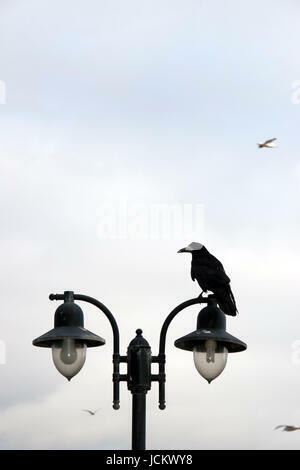 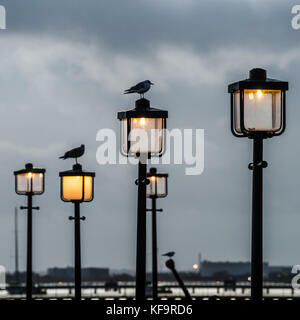 A shot of seagulls sitting on top of some street lamps. 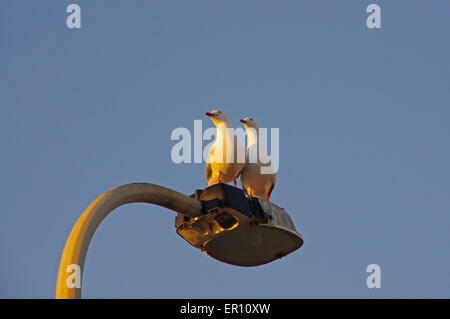 Two seagulls looking in the same directions. 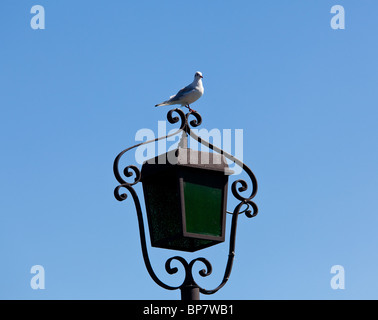 Gull on top of lamp against clear blue sky, low angle.